Growing up can be challenging, but the world is a fascinating place. At Something Extra Preschool & Childcare we work hard to make sure that your child is given the opportunities needed to explore the world around. 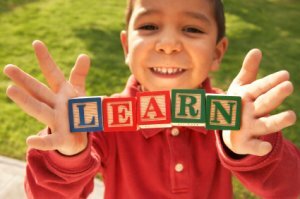 We work with your child to further develop social skills, imagination, small and large motor skills, self esteem, and we begin academics. This is easily one of the best times for your child in their education career. Happy learning is our specialty! Our preschool program adds many more facets to the curriculum, which includes more creative opportunities. Your child is now ready to begin more advanced learning skills and we will introduce them to a traditional classroom environment. You can learn more about Something Extra's Preschool Program or you can Contact Us for more information. 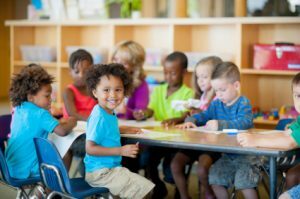 A strong prekindergarten program can be a worthwhile experience for your child. Something Extra Preschool will help prepare them for a rewarding educational adventure. To develop our program, we work extensively with kindergarten teachers in our area. This provides the children with the best possible academic base for starting elementary school. The low ratios in our classrooms allow our teachers to shape the curriculum to your child’s needs and abilities. You can learn more about Something Extra's Pre-Kindergarten Program or you can Contact Us for more information.